It was difficult to wake up on Tuesday morning when you consider the journey of Monday, and the time we slept on arrival. 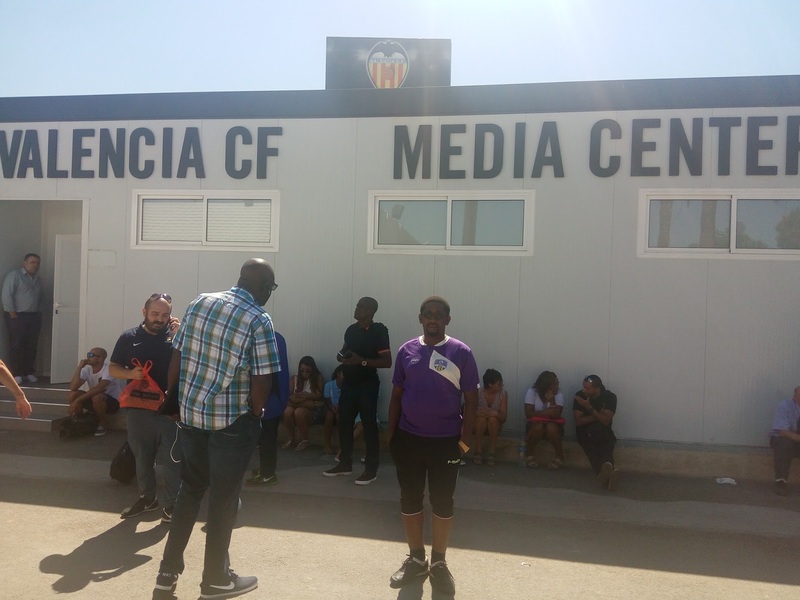 But wake we had to and after breakfast next up was light training at the Valencia CF club house/ training pitch as well as a tour of facilities and lecture. 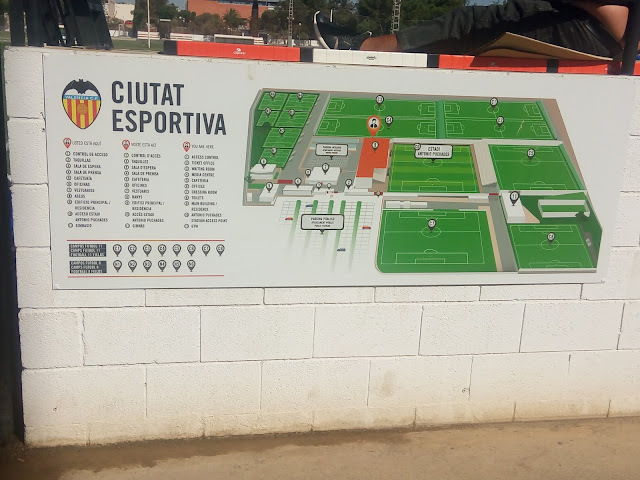 The Valencia CF base was a total beauty. I felt the same way when I visited Club Africain’s training center in Tunis in 2015, but this one… you just had to see it. Things like this make you ask if we are running football in Nigeria or just playing matches every week to contest for three points. 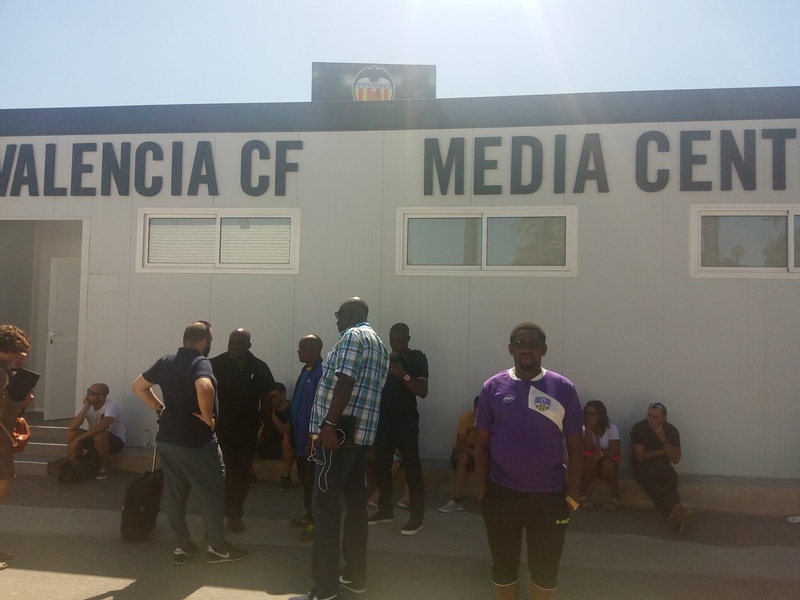 The facility had club offices, a conference room, a media center and most of all twelve practice pitches made up of six five a side pitches and six full size pitches. While some of their youth teams trained on some of the pitches, we were given pitch 3 to hold our session. Salisu told the players there would be nothing serious about the training; just jog around, do some exercises and then ball work. While the boys started doing their laps I decided to join them. Truth is that for the past nine weeks I’d been diligently doing 45 minute to one hour runs three days a week and didn’t want this trip to Spain to cut it short. 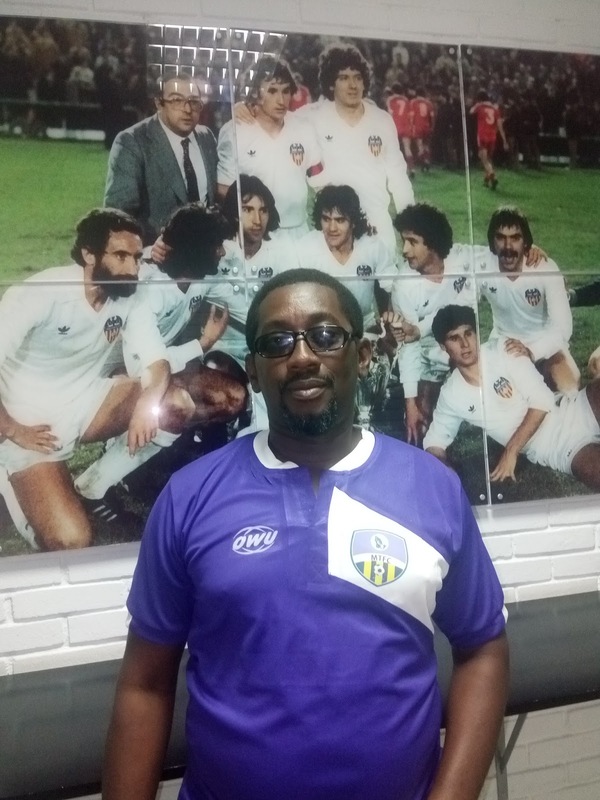 At first I wanted to join up with the boys since their pace was as slow as it gets; at least I wouldn’t exhaust myself quickly, but Ike Shorunmu beckoned on me to keep my distance which was normal as I was not part of the team, neither was I dressed like them. 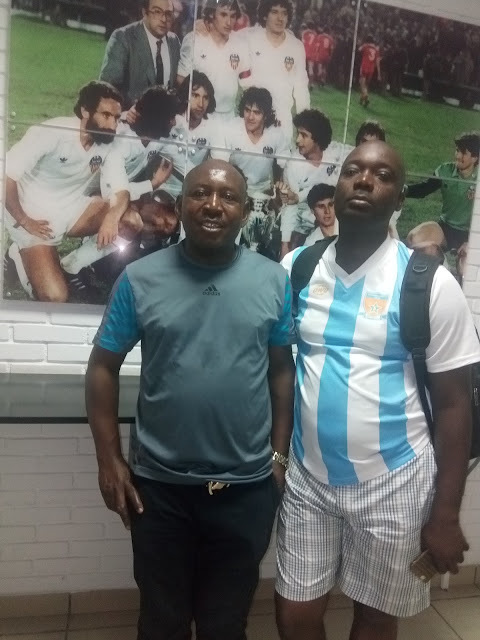 I took one half of the pitch and did eight laps on it then the final six laps was the full perimeter of the pitch and when I was done with that I knew I was good enough to make Salisu Yusuf’s team even though he politely told me that he would have considered me if only I added two more laps. WICKEDNESS IN HIGH PLACES!!! After that a member of the Valencia group gave a lecture to the club chairmen present on the structure of their club, Valencia and why they do things the way they do. 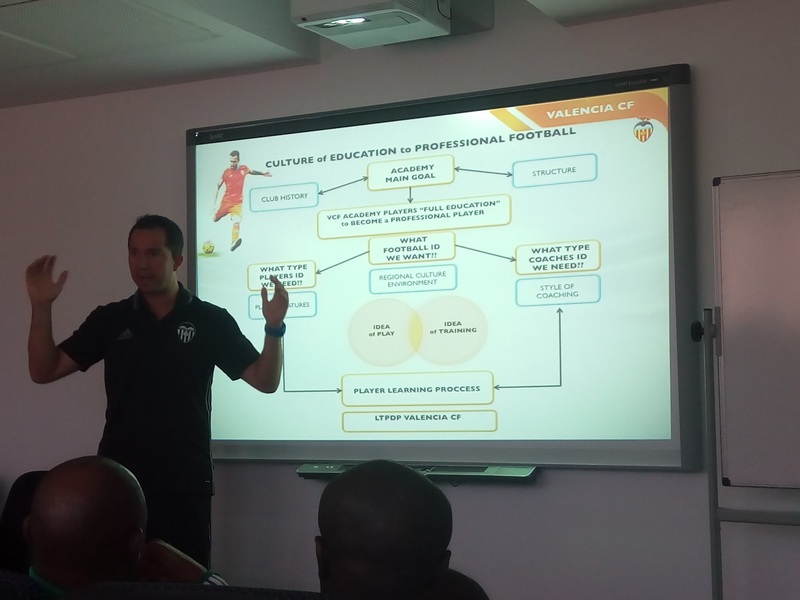 The lecture clearly outlined who they are as a club, what their philosophies are, how they recruit players and coaches and what their targets are. One thing the resource person said that stood out for me was that Valencia as a team do not have a target to win the league. Rather their target is to compete and make their fans happy. According to him their target is to finish in top 4 every season and play in the Champions league. Then he said something else that they are not as big as Real Madrid or Barcelona and anytime they play against “these two monsters” they expect to lose home and away. He however added that their fans know this but expect them to compete which they do and that’s how they won at the Nou Camp last season and against Real Madrid two seasons ago. He said whenever they come up against Madrid or Barcelona their fans just expect them to be brave and put up a good fight. Compare this to the Nigerian League where a club, like, say, Ikorodu United, MFM, Lobi Stars or Shooting Stars tell you at the start of the season that their target is to win the title, thereby disrespecting big clubs like Enyimba, Kano Pillars and Rangers International. In Nigeria, Ikorodu United think they can beat Enyimba or Kano Pillars, give their fans high expectations and when they lose they resort to violence. After that lecture, it was obvious that we do not run clubs in Nigeria, no we don’t. All we do here is prepare to play league matches every weekend. But hopefully these would change with a bit more effort from the club chairmen, the league and of course the owners of these clubs which are the state governors. After all that it was time for the pre match presser and if I told you yesterday how big these games were for the people in Spain, what I saw today really convinced me. It was a packed media center with at least fifty journalists from radio, TV and the rest present. If this wasn’t a big match for them then I wonder why there was not a single empty seat in the press center. The coach of Valencia, Pako Ayesteran, who Liverpool fans may know from his days as an assistant to Rafa Benitez seemed like he wanted to win that game. 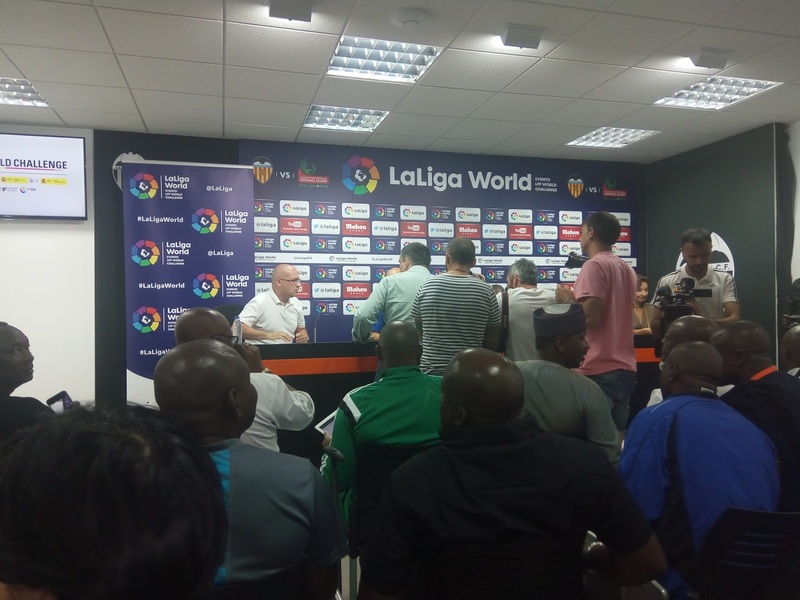 I asked Pako Ayesteran what the target of Valencia was for the season and how important the game against the NPFL All Star side was as regards helping him attain their target. 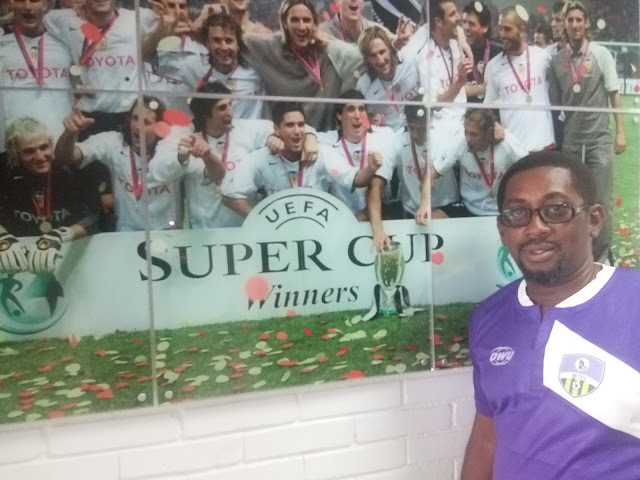 He said their target was to finish in top 4 (another confirmation) and they need every pre-season game to build the fitness of his players so they can be ready when the league kicks off in ten days. 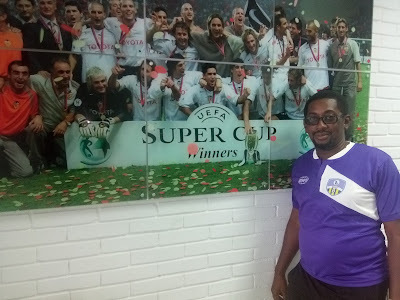 At night we watched the Spanish Super Cup game between Real Madrid and Valencia together. By “we” I meant Chief Nduka Irabor, Niyi Oyeleke, Harry Iwuala and later Mallam Shehu Dikko. There were a couple of others there but I don’t remember all the names. While most of the guys sipped beer from their cups, I just sat and watched the game. Chief Irabor asked me if I wasn’t interested in a beer. Then Harry began to tell the story of how we met in Abuja and I only did white wine and nothing else. Chief now said it was good to see a person who decided to drink only one thing and be disciplined about it. Me, I know I do not drink only one thing o. I drink tea, and coffee… okay we are not talking of those kinds of drinks, abi? Oya, I drink palm wine, only when I see one that if fresh enough and the way Nigeria is so corrupt, what are the chances of seeing palm wine so fresh and undiluted? I also like to drink my pure, crisp water. Yes, I’m weird like that. At about eleven o clock, Mutui Adepoju turned up at the hotel. 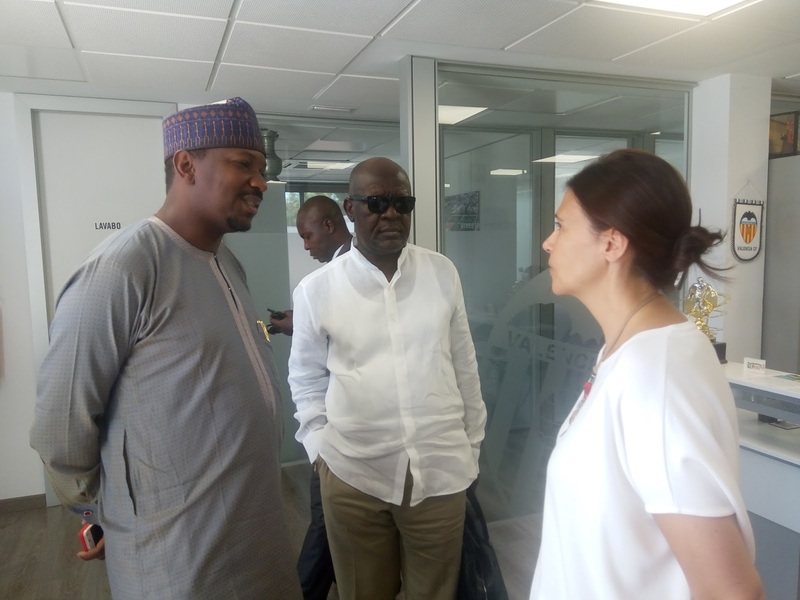 He was part of the remainder of the delegation that left Nigeria a day after us. Good thing he was around. The head master, we called him in his hey days. Tomorrow, we play our game against Valencia. Bros I hail, abeg when the next dairy dey come out.